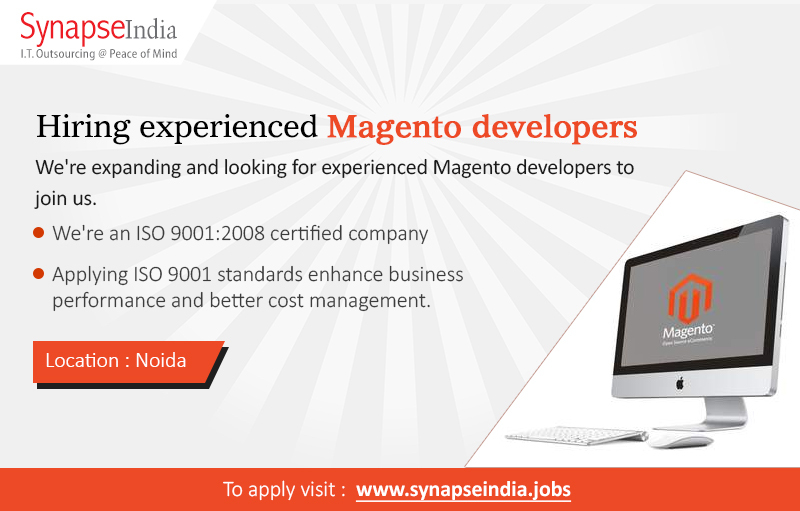 SynapseIndia recruitment team is looking out for talented Magento developers having relevant experience of working on Magento platform. Magento is an open-source PHP based framework, offers rich features required to build, manage and successfully run an e-commerce site. Magneto has become one of the most preferred choice to build an online store website.